Multi-sponsor Surveys is offering this new research service to bring you comprehensive coverage of annual trends in consumer use of dietary supplements and quarterly tracking of consumer awareness and reaction to supplement research findings reported in the media. This multi-faceted, syndicated package is designed to deliver all the knowledge and insights your business needs with a large database to mine as new marketing questions arise throughout the year. 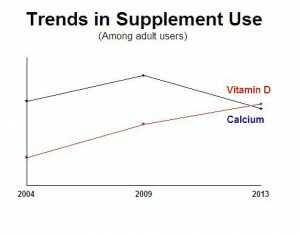 The 2014 Gallup Study of the U.S. Market for Vitamins & Other Dietary Supplements – – comprehensive study tracking annual trends for over 20 years. Contact Linda.Destefano for proposals outlining full details for each of the above studies. Online access to interactive database for easy access to quarterly survey data tracking supplement use and awareness of supplement publicity. Free preview available upon request. Subscriber discounts off the price of any other supplement and nutrient studies purchased from Multi-sponsor Surveys over the 12 month period (see 2014/15 Research Calendar below). Subscribers are also encouraged to suggest topics for new syndicated research or target market reports. Discounted annual package price of $38,000 if purchased by September 30, 2014; $44,700 thereafter. Opportunity to review questionnaires and suggest revisions to the syndicated surveys if purchased prior to interviewing. Opportunity to purchase custom questions for proprietary information needs. Summary Report – – key research findings, trends and comprehensive narrative and graphic presentation analysis of the data (PowerPoint). Top-Line Trends Volume – – presenting trends for all survey questions, plus long-term trends whenever available (pdf). Excel Tabs – presenting cross-tabs of all questions by key demographic, attitudinal and behavioral variables. Method & Interviewing Schedule: Interviews will be conducted among national samples of 1,000 adults each quarter on the following schedule – October 2014; January 2015; April 2015; July 2015. Excel Top-Line Trends Volume issued quarterly 1 month post interviewing. Excel Tabs – presenting cumulative data for all survey questions by key demographic, attitudinal and behavioral variables. Issued quarterly 1 month post interviewing. Summary Report – – key research findings, trends and comprehensive narrative and graphic presentation analysis of the data (PowerPoint). Issued in February and August 2014. 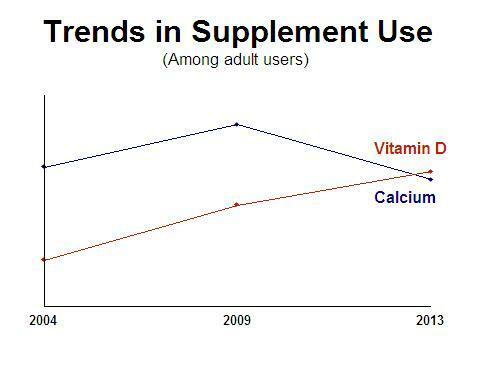 Free online access to key quarterly trends in supplement use and awareness of supplement publicity throughout 1-year subscription period. Additional charges apply for access to interactive database for other topics of interest. Easy-to-use analysis tools for creating graphs with the ability to export to PowerPoint. Listed below are other studies planned by Multi-sponsor Surveys over the next 12 months. Subscribers to the Dietary Supplement Research Package will qualify for an additional 10-15% discount off the pre-field cost, if purchased prior to interviewing. *Price varies based on the brands selected for study. Target Market Reports on . . .